If you’re a self-builder or involved with building homes, understanding the energy assessment required within Part L of the Building Regulations will help when planning your building project and ensure that it meets the regs. We explain in this article what some of the energy assessment methods are, how these may impact you and your choice of heating system. SAP (Standard Assessment Procedure) is an energy assessment required for all new homes to demonstrate compliance with Part L of the Building Regulations. This is the system used to assess and compare the energy and environmental performance of dwellings. Its main function is to give an accurate assessment of a dwelling’s energy performance. For non-domestic properties, SBEM (Simplified Building Energy Model) is used. SBEM calculates monthly energy use and carbon dioxide emissions of a building, given a description of the building geometry, construction, use and HVAC and lighting equipment. 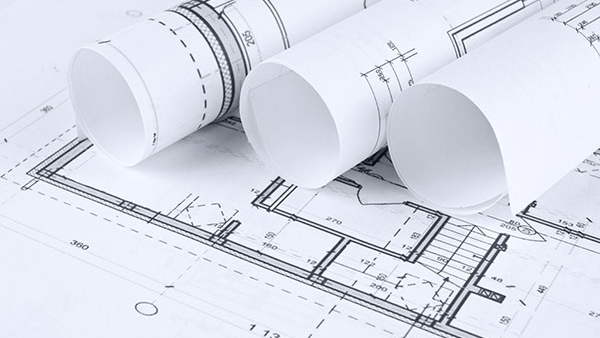 For a SAP or SBEM calculation, full plans and a complete building specification is required and the calculations must be completed before work starts on the building site. SAP and SBEM energy assessment is required for all new buildings as set in Part L of the Building Regulations. These must be completed prior to starting building work to ensure compliance. In order to support the energy efficiency requirements set in the Building Regulations, the government has set a target carbon dioxide emission rate (TER) in Part L of the Building Regulations for the minimum energy performance requirement for a new building. The CO2 emission rate of the planned building is measured using a SAP or SBEM calculation and viewed against the Dwelling Emission Rate (DER) to define whether a building will pass or fail on its emission targets. The DER for the proposed building must not exceed the TER. The choice of a heating system will impact the CO2 emission rate of a building, and choosing the most efficient system will help you to meet the set targets. In Code level 4 or above houses, very little heating is required and therefore, less energy is needed to create heat. The air temperature inside low-energy and air-tight houses requires careful management and precise control. This is where underfloor heating’s efficiency is notable: it can be used to create zones, i.e. to have individual temperature control for different rooms or areas of the house. This zoning achieved using underfloor heating gives precise temperature control and heats bodies quicker than air, making the system efficient to run. Each heating system within SAP has a value to determine the overall DER and the primary heat source for a property are used to determine the main heating DER in SAP. Due to the nature of electricity and the multiplier added to it in SAP calculations, it may be difficult to use electric underfloor heating as the primary system and meet the TER. Water based systems, however, do not have this multiplier attached to them as they are powered by boilers, air and ground source heat pumps or even solar panels meaning that water based underfloor heating often meets the TER, meaning that it can be used as the primary heating system. Water based underfloor heating solutions can often be used as the primary system in SAP as they are powered by heat sources that are more efficient than electricity in SAP. The energy efficiency data in SAP calculations of electric underfloor heating is as below for the 2 types of tariffs. For water based system’s efficiency, see the BRE SAP efficiency tables [pdf] and see your proposed heat source. 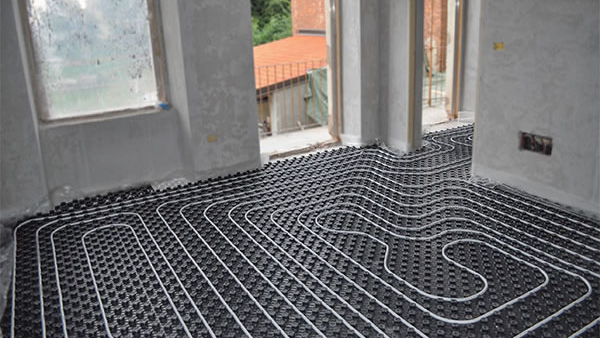 If electric underfloor heating is your first choice for a primary system (for example in properties that are not connected to the gas grid), and the DER exceeds the TER, solutions making the system more efficient to run may be looked at. Decreasing heat loss and increasing the levels of insulation, reducing the number of electrical appliances elsewhere in the house and reducing the heat output may impact the DER so that the TER rate is still achieved. Underfloor heating systems are not only affordable to buy and install, easy to control, have zero maintenance and are long-lasting, but also produce the kind of heat that makes the atmosphere the most comfortable making them an ideal choice for a low-energy house. The precise temperature control of heated areas can significantly reduce energy requirements, subsequently reducing carbon emissions. Lower energy requirements also mean lower energy costs. ERP (Energy Related Products) regulations are derived from the Eco-Design Directive which established an EU-wide framework for setting minimum energy efficiency standards for Energy Related Products. There are 8 classes which based on certain features of the thermostat, such as how it calculates if the boiler should be on at certain times within a cycle. The Warmup 4iE, 3iE and Tempo thermostat are currently within Class IV which is similar to the majority of digital thermostats in the market. Programmable thermostats improve the DER as these are used to control the heating system, making the system more efficient to run. Depending on the class, thermostats can improve the efficiency rating of a building by improving the efficiency percentage of a heating system. In practice, these regulations mean that in building construction or renovations / renewing equipment, only ERPs which have a valid energy labelling or are CE compliant should be used. The overall result being a lower energy use dwelling / building and a superior Energy Efficiency Rating. Energy Assessment is a regulated industry in the UK and is undertaken across a number of different situations including Domestic buildings, Non-domestic, Commercial buildings and Air-conditioning systems. The Domestic Energy Assessor produces an Energy Performance Certificate (EPC) when a building is built, sold or let. For non-domestic properties, The Non-Domestic Energy Assessor collects data on dimensions, construction, heating and hot water provision of commercial and non-commercial buildings in order to produce an EPC using the Simplified Building Energy Model (SBEM). The assessment is a legal a legal requirement. EPC certificates are produced based on the SAP and SBEM calculations and describe the energy efficiency of a property. 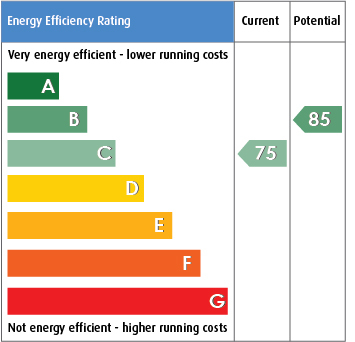 Energy Performance Certificates which are valid for 10 years present the energy efficiency of dwellings on a scale of A+ to G. The most efficient homes – which should have the lowest fuel bills – are in band A. The calculation of the energy ratings on the EPC are based on a simplified version of the SAP2005. The use of heating systems with low energy consumption will receive a better rating. Your choice of a heating system and the temperature control will impact the score significantly. If your boiler has an efficiency rating of 82% and you choose a temperature control of class four, this will improve the efficiency of the heating system by 2% bringing your overall efficiency rating to 84%. So, choosing a thermostat with a high efficiency score will make your home more energy efficient. For more information about the SAP assessment, or how to comply with the building regulations, contact Warmup’s expert team.